Like so many other people in the gaming world, I must admit that I like Call of Duty 4’s Single Player campaign a hell of a lot. 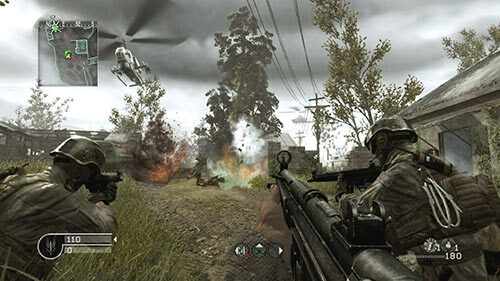 There are the usual reasons, such as its high level of polish and a well built game engine, but the bottom line is that COD4 is one of the few modern shooters that both understands and implements the storytelling techniques of Half Life 2. This is important not only because it can make for a great experience, but it shows that Infinity Ward truly is a premiere developer, one who understands what a shooter can (and sometimes should) do. When I discuss the “Half Life 2” way of doing things, I am referring to that game’s ability to use scripted scenes and setpieces from start to finish, and somehow make them feel like a massive, detailed, living world. It strings you along a very tight, very linear path, but if you wind up under its spell, you feel as if that path is the most natural and logical choice. Sometimes it may even feel like your choice. HL2 was the next evolution of game scripting; get rid of the props and explosions that make a level feel like a Disney ride, and use scripts and level design to subtly nudge the player in the right direction, to play with their mind, so as to make the experience seem natural rather than pre-planned. COD4 follows in those footsteps. It takes Half Life 1’s tram ride and brings it to the next generation, and it works better than you would expect. It rarely uses scripting during combat, instead relying on it during downtime to progress the story or heighten the tension. I still remember the scene that ruined Call of Duty 2 – a German wielding a Panzerschreck took out one of my British tanks . On my next try through the firefight, I tried to take him out, only to find that he was invincible. There was no way to save that tank, and I doubted the future of scripting. In contrast, there is a scene in Call of Duty 4 where Russian troops in camo rise out of the very field you were standing in. Two observations about this scene; firstly, that I stopped where the game wanted me to so that the troops came by surprise. Second, on my next playthrough, I found that the characters were actually hiding in the grass, rather than instantly spawning when the script triggered. Little details like this go a long way, especially when some games still choose to ignore them. Be warned that it is possible to break this game. In fact you can break it miserably on a second playthrough. All that subtle nudging and good scripting seems to fall apart. Enemies will vanish or not even spawn, and friendly soldiers won’t behave nearly as intelligently as you thought they were when they were offscreen. Maybe you knew you were being tricked before, but now it feels cheap and dirty. The solution is to crank the difficulty up to Veteran. 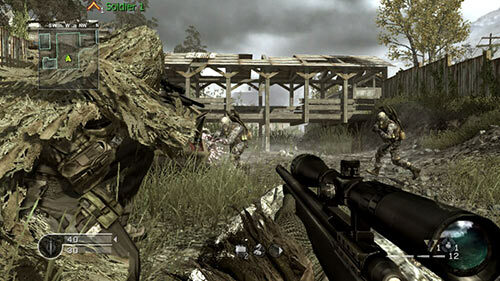 COD4 on Veteran is akin to a tough Japanese action game like Devil May Cry or Ninja Gaiden. In all three of these games, the second playthrough on a harder difficulty is never boring. You may have seen it all before, but the significant increase in challenge requires you to be much more familiar with the terrain and your arsenal in order to survive through means other than trial and error. You are supposed to find the exploits, the glitches, the best weapons for the job in order to get through these incredible challenges. In Call of Duty 4, whole squads of enemies that once got in your way will not spawn if you go the right way or move at the right time. You can clear through areas quicker than you did on Hardened mode, just by using a different weapon or tactic. On Veteran I once took out a piece of enemy armor in less than half the time it originally took me simply by throwing a smoke grenade and running up to it before it could set up at the right position. Doing all of this will crush the dramatic tension of any given mission, and seemingly blow all of Infinity Ward’s hard work to flinders, but you already went through the story experience. 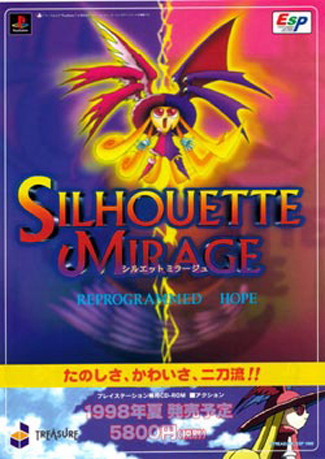 A Veteran play something entirely different, something the developers clearly understood and embraced; after all, the game includes an “arcade mode” that rewards for fast and accurate play. What was a possible weakness is turned into an asset, and suddenly a single player campaign that was “too short” becomes a little deeper than you imagined. Other tidbits of polish and problems are worth mentioning. The tutorial is incredibly sharp, allowing a newbie to learn the ropes and a pro to blast through the first section in mere seconds. The characters you play as in the game have equipment that would require many levels of experience to earn in the multiplayer segment, which is either a relief or a hassle, depending on what mode you are playing. The story is still ham fisted even if it is told rather well. You will encounter the greatest stealth mission ever put in a game, as well as a massively clever on-rails mission. Lately, whenever I play a new release, I look back afterwards and remember if during the game I ever thought about the room around me, or the errands I was skipping out on, or how I was going to write the review. If any of these things happen, then the game was losing my attention, and it is a guarantee that I will have some very harsh words for it. If instead I find myself staring at a clock that is five hours later than I thought it should be, then it is a winner. In that regard, COD4 is a clear winner. It is anything but innovative, and that just doesn’t matter. It does its job incredibly well, and it took my mind off of innovations and pushing the envelope, and for that I am very thankful. Not even Portal could do this, which is why this is one of the best single player experience of 2007.